“Increasing Productivity in the Workplace”. That’s the mantra that governments all over the world are pushing for in this modern digital age. With the advent of technology, there have been many productivity tools that have popped up online. These applications claim to be able to help increase efficiency in offices and help boost the output of work. Out of the hundreds in the market, how would you know which one to pick? Fear not, we from the Eezee Team have compiled the best that the internet has to offer for you. The following applications are ones that we at Eezee use ourselves, take a look! Picture this: You text Sharon on Whatsapp to send you a file on Dropbox, then call Joshua on Skype to reconfirm some details about next week’s company event. Oh, Adam needs you to follow up on that email that he sent to you a month ago, gotta look for it now. Which email account did I use again? Sound familiar? This is the reality of most workplaces nowadays, with multiple systems and programs running at the same time to coordinate work. And anyone who has used these systems can tell you what a hassle it is. 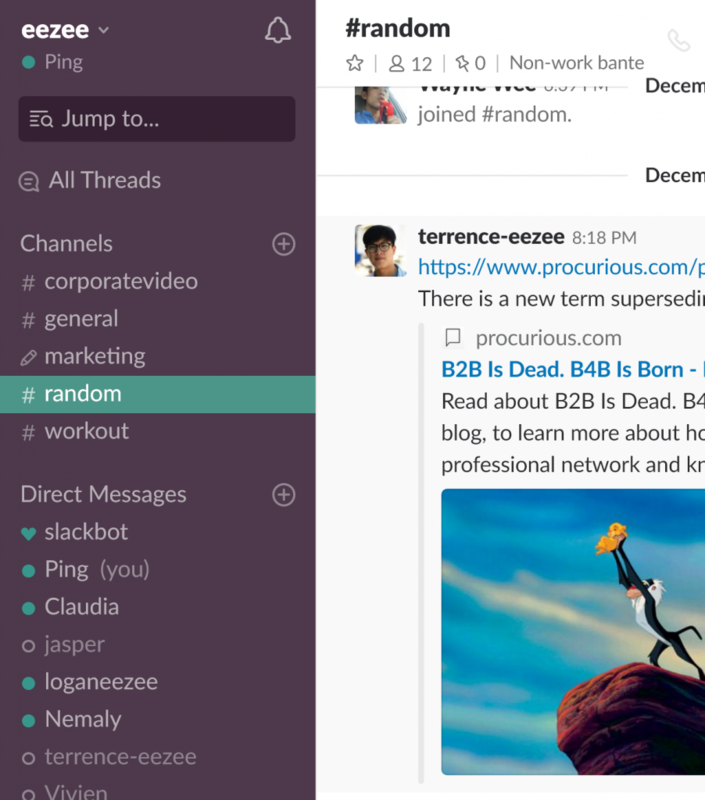 Slack is a all-in-one messaging application for your office. It combines regular messaging, sending files, sharing content and even video/voice calls together in a standalone program. Say goodbye to having to juggle multiple applications just to get your work done. You can create multiple channels to differentiate work and it even integrates with over a thousand other programs such as Dropbox! With a slick user interface and ease of use, it is a clear winner in terms of organising your workers and work. We love the powerful search function that it has that allow searching for messages and files, making it easy to find anything you need again in an instant. 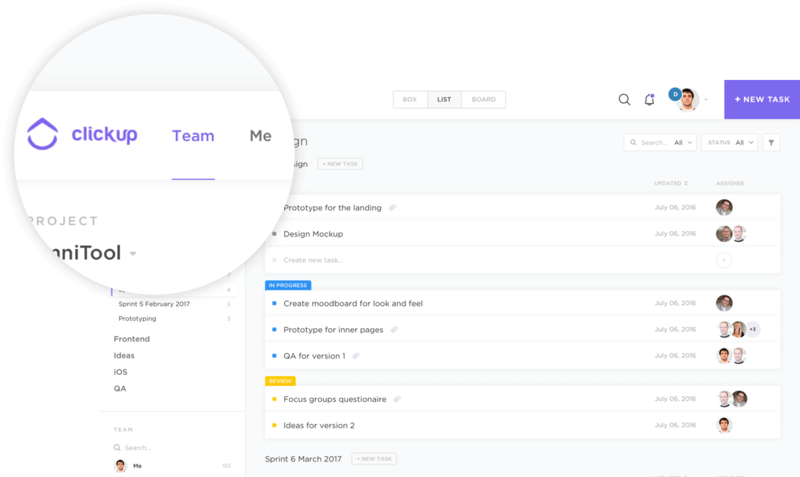 ClickUp is a project management program to keep your office and workers clear of the company goals. Acting as a collaborative to-do list, it allows all employees to see at a glance what needs to be completed and has been completed. Anyone can create tasks and assign them to the designated person, even adding comments if necessary. Furthermore, you can even assign tasks to multiple people. It may seems like a basic function to have, but you’d be surprised that most other programs don’t allow this. 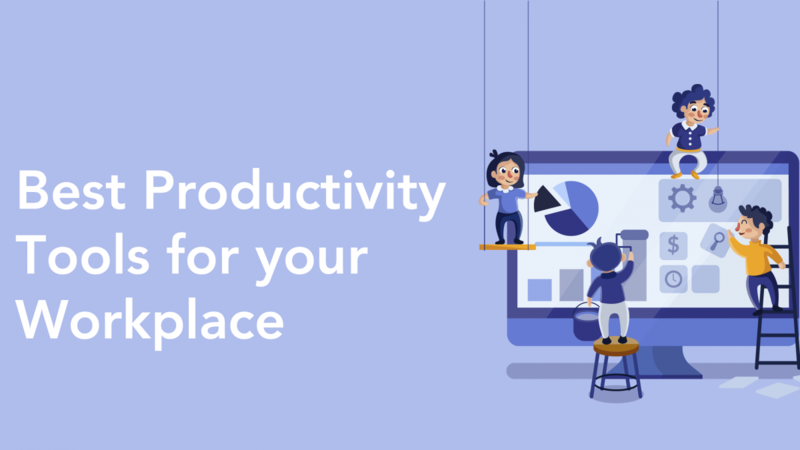 Getting all your employees on Clickup is a one click process and its easy for everyone to keep each other on track and productive in their work. This allows for accountability and helps everyone strive to achieve the company goals together. 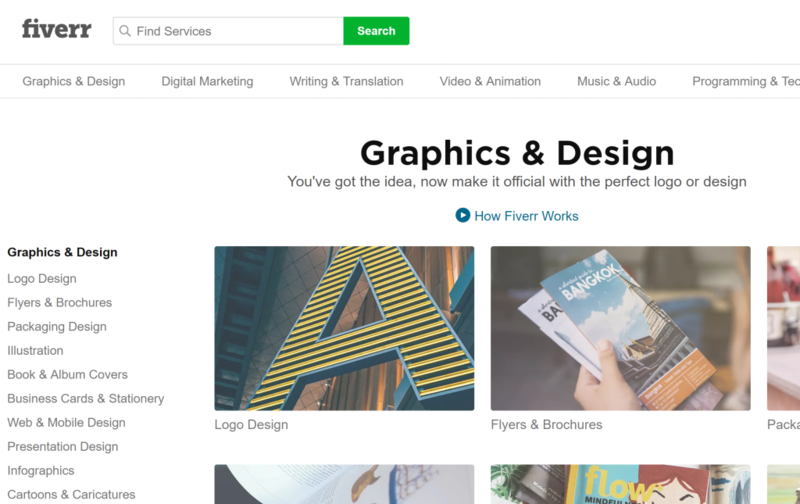 Fiverr is a great way for businesses to get something small done quickly and easily. By outsourcing the work to freelancers, you get to save time to complete more important things at hand. From writing essays to creating logos, there is always a person willing to do your work for a small cost. We’ve found that outsourcing small menial tasks such as redesigning a logo to be very useful and cost-effective, something that you could definitely consider for your own business as well. It’s free to use and to browse, but obviously you have to pay someone for their services! Hey that’s us, but wait – hear me out! 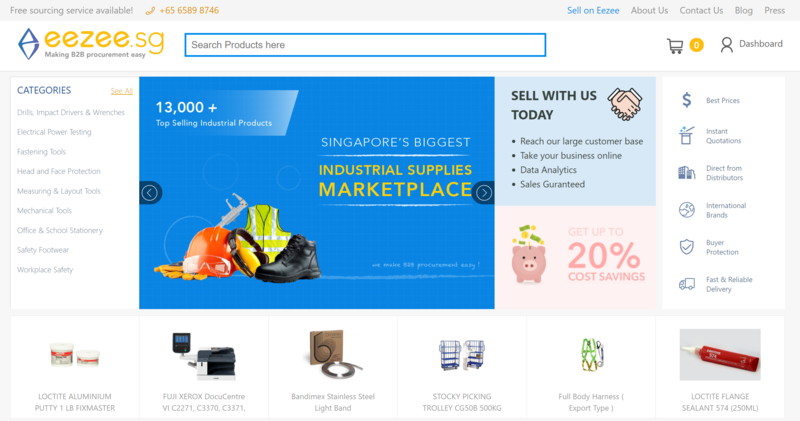 Eezee is a e-commerce site that seek to make procuring supplies for your work easier. A one stop site for industrial supplies, it allows you to quickly get quotations from suppliers and purchase all that you need without making troublesome calls to them individually. We even stock small items such as stationery and printer supplies in case you need a quick restock of your orders. Keep your supplies stocked up so that your workers can keep chugging along! The best part is that Eezee is all contained in a intuitive and easy to use website. Pssst, take a look, its free! Buffer is a automated social media sharing platform, but its not a platform in itself! All it does is integrate with all of your other social media platforms and lets you schedule content publishing. What’s more, it even provides statistics for the best times for you to post! This ensures that your valuable content gets seen by as many eyes as possible. Again, this saves your employees the time to manually post on the multiple social media platforms you have by streamlining it into an easy one-click process. How convenient, huh? It connects to all the major platforms, including: Facebook, Twitter, Instagram, LinkedIn, Google+ and even Pinterest. We love the fact that it even has a mobile app that allows our Marketing Executive (gasp – that’s me) to check up on our content on the fly. Its free to connect up to 3 platforms, and $15/month to get all premium features. I know, I know. What a weird name right? IFTTT stands for “If this, then that”. It gives you lots of options to make different things on the internet work together just how you like. Want to turn off your mobile data and turn on wifi once you’re at work? You can do that. Want to automatically log your Uber ride receipt claims in an excel spreadsheet? You can do that. As you can see, your imagination is the limit. This really helps free up your time that would otherwise be spent doing menial work. Just automate it away! Thank me later for the hours saved, will you? Best part, IFTTT is completely free! No freemium model, no payment necessary. It really can’t get better than this, if you ask me. The Singapore government has been pushing local companies to increase productivity for the longest time. You can do your part by starting right at your company with these apps. Hope this helps! Funny enough, these aren’t the only ways you can improve productivity in the workplace, why not try increasing efficiency as well?